Central troops clean Diyatalawa town. 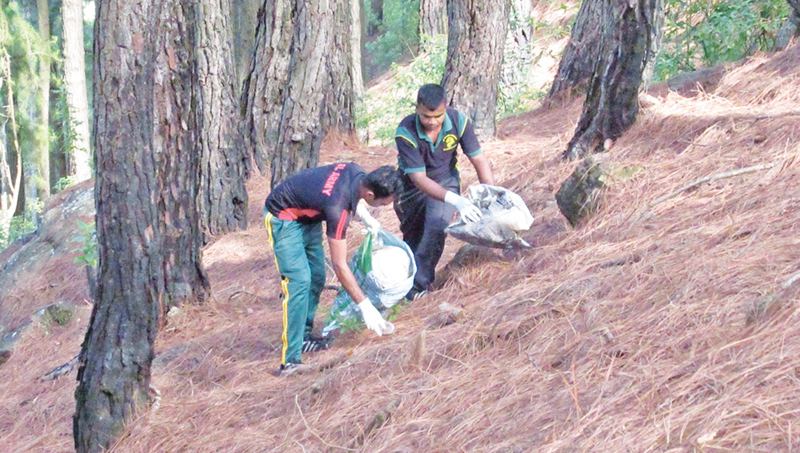 Following a proposal made by Central Commander Major General Ruwan De Silva, a project was launched by a group of Central troops on Friday to clean up the roadsides from the centre of Diyatalawa town up to the Y-junction, adjoining the Bandarawela - Haputale main road. Twenty-two Army personnel with two officers took part in the drive as the area was littered with polythene bags and other pollutants. Meanwhile, the Security Force Headquarters-Central organised a two-day session on the 5S concept for more than 900 troops including 20 officers, at Diyatalawa Torch cinema, last week.